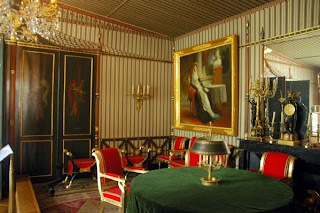 To the very end, Josephine’s concern and consuming love was reserved for her children and the great love of her life, her Bonaparte. She was determined to see that her children’s’ fate be set and their lives saved from the remnants of the disaster that now befell them. She had kept on entertaining and planning until she was sure that the future of her children would be safe and secure. Her legacy remains intact in the memoirs that she wrote up until the time of her death. The most touching letter written by a son to his father- about his mother, is the letter that Eugene wrote to Napoleon after his beloved mother, Josephine, passed away. 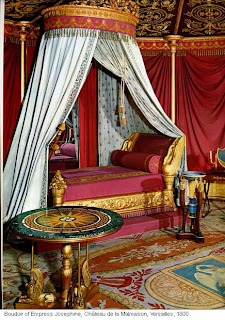 …As you can imagine, the citizens of this nation are overwhelmed with grief at the news that their “Good Empress Josephine” is no longer with them. I was told by old Gontier that the gate could not be opened for the mountain of bouquets piled high there, that the long road from Paris to Malmaison has been thronged with people with tears in their eyes- peasants and aristocrats alike. She was placed in a double casket. Over twenty thousand people came all the way out to Malmaison to pay their last respects. Astonishing. Even the gate here at Saint-Leu is covered with bouquets and letters of sympathy. Really, Papa, it touches us deeply to see such an outpouring of love. “Tell him I am waiting,” Maman told Hortense a few days before her death. Fever talk, we thought at the time, but now it all seems so clear. Mimi, who was with her through that last feverish night, says her last words were of you. Bon courage…May God be with you. I know her spirit will be. 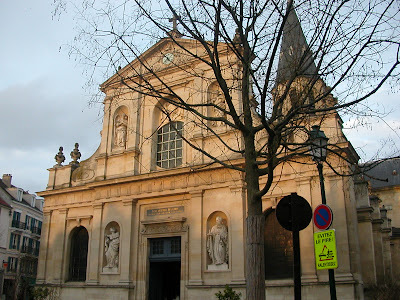 Josephine was buried in the Church of Saint Pierre-Saint Paul, in Rueil. I was pleased to read more about ‘Les filles du roi” (the ladies that Louis sent out primarily to what is now Quebec and close by regions of North America) in this Vincent Cronin book: Louis XIV. This is after all a subject that I’m quite fascinated by (see my article on this here) - and here. I was very pleased to see that Cronin portrayed a realistic picture of the history pertaining to this subject. Which leads me to my next point…How much of this next character am I to believe? Cronin goes one full chapter in depth about Athenaïs de Montespan. I mean so far, this author has been right on when it comes to the history of this Court. So far, I really don’t like this lady. Apart from her beauty and lustiness- it’s evident that Louis was quite ‘energetic’ in the field of Love, and yes, the lady did portray strong sprit and wit, but besides that, she seemed to have been nothing but trouble. Plus, there was more evidence of her dabbling in witchcraft- séances, rituals and all…scary stuff that would turn anyone off for sure- especially a very Catholic king. Yet, even after finding all of this out, Louis still kept her at court for a couple of more years, as he slowly weaned her off. He apparently seeked consult on this and then proceeded to alienate her slowly. 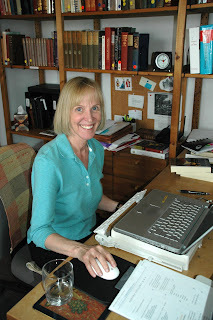 By the way, if you want to read Sandra Gulland’s post on False Memoirs- go here -very interesting. As for me, I’m taking my time with this book; it’s sooo interesting. I know I’ll be posting more for sure on this one. Ahhh, delicious Venetian coffee…Is it any wonder that coffee was first imported to Europe by Venetians? It was Prospero Alpino in the 17th century that brought it back with him from a trip to the East. I don’t just know this because of research- this was told to me over and over by my dad, who always loves a quick cup -especially after those great feast-like Sunday afternoon meals. But back to some fun history…In the 18thc, coffee, along with chocolate, was given as a token of love and affection. Lovers reveled in this delicious aromatic delight, even though when it first became popular it was not immediately accepted by all. Religious authorities at first tried to ban the substance for fear that this hypnotically and sensual beverage would lead to promiscuity and misdemeanor…!Oh dear! As the story goes, and it’s been passed on for centuries, (I myself grew up hearing this and have always thought it to be true…), it appears that Pope Clement VIII was under much pressure to have it banned because it was considered sinful. But fortunately (inquisitive man that he was), the Pope had the good sense to give it a try himself before giving coffee its final blessing. After a cup of coffee he concluded that the stuff was not only delicious (he had such fine taste)- it was also harmless. So the ruling was final: Coffee was in! Back to Venetian coffee…I know that if you check for recipes, you’ll find tons of delectable concoctions such as coffee with amaretto, or brandy and whipped cream and more. In my grandmother’s house though, Venetian coffee meant something different. It has no liquor (sorry), but needs lots of sugar (sorry)…The result: a very creamy, sweet, frothy smooth and delicious beverage. 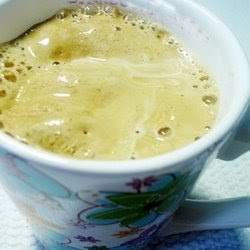 Here’s how to make one: This works best with a traditional Moca. -	As soon as you hear the coffee coming up (this is when the coffee is at its strongest), pour about 2 teaspoons over the sugar- then put the moca back on the burner to continue the coffee process. -	Once the coffee comes up pour it into the cup, and Pronto! You have Rosina’s Venetian coffee. For added flavour you can also add a teaspoon of cocoa to the sugar and coffee mixture and beat it all together. It’s simple; yet divine. Pope Clement would definitely approve. Josephine tid-bit: This has nothing to do with Venice...but if you'd like to know... Josephine loved her coffee with chocolate in it. 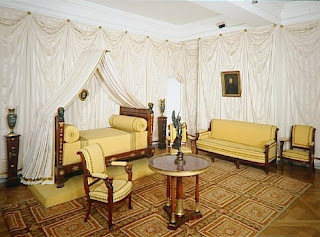 she enjoyed this with her Bonaparte, especially after he'd had a hard day (helped him calm his nerves). Last time I wrote about Josephine’s love of roses. 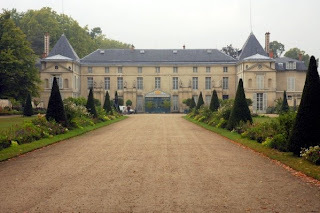 So this time I thought I’d post some very beautiful photos of this enchanting place called Chateau Malmaison. Sadly, the grounds no longer look as divine as they once did; but the place still holds much of its glorious beauty. Enjoy. Here is a Youtube clip of Malmaison, if you're interested to watch (it's a good 5 min. long). In the clip we can really see that the grounds have obviously lost their splendor. there are some beautiful flowers...but nothong compared to Josephine's immense and unique collection. The place has still kept its grandiose look...but it seems like such a sad place now. If you do watch it, let me know what you think. And she's having a GIVEAWAY! To enter. please visit her site here. ♦Grab your current read. Let the book fall open to a random page. ♦Share with us two (2) “teaser” sentences from somewhere on that page. ♦You also need to share the title of the book that you’re getting your “teaser” from … that way people can have some great book recommendatons if they like the teaser you’ve given! So far, I love this book which reads more like a novel than a history book. I was half way through this excellent book when suddenly it disappeared…It had been secretly borrowed by my cousin who decided to take it with her to Florida…ugh! No worry, I love her dearly- she got back this weekend and the book was safely returned:) Now I can finally finish it! It’s the long weekend here in Canada, and I don’t know how I’m getting any reading done…but every little stretch I manage to squeeze Louis in;) So far, I’ve never read so much detailed info on Louis’Court. I got to the part where Louise becomes his mistress. So far, I have to say that Louis was the model son almost from birth. His mom meant the world to him and everything she said really mattered to him. He was also brought up by Cardinal Mazarin, who was very close to Louis’ mother. So, okay the Cardinal did make sure he looked out for his own interests, but turning Louis into a fine king, is shown to be his first priority (besides wanting to make himself pope)...just in passing…there’s a part about the Cardinal, who loved to gamble and, often cheated. He would call this ‘correcting chance’…I thought that was a clever way to put it. Then there’s Marie Mancini. I had heard about her before though never in such detail. She was one of Cardinal Mazarin’s nieces- Louis and her were madly in love. Although their love was never ‘consumed’- they had more than a strong infatuation and Louis contested and protested in order to marry her- of course this was denied to him. Marie was shipped away to later be respectfully married. I was unaware of this relationship in such detail. I think I’d like to read more about marie; there’s a book on her memoirs. If anyone has read this, I’d love to hear about it. 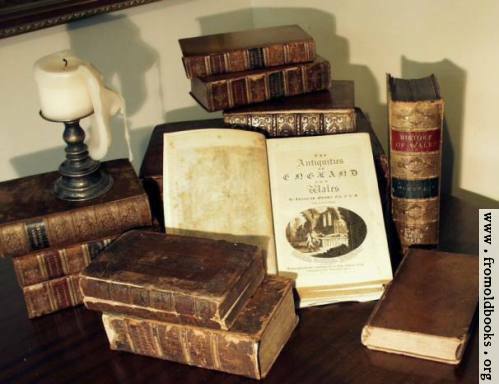 I always love to post historical findings about people (especially Josie), places, things, book reviews and such…To this, I’d also like to add some thoughts regarding the books I read. When I really enjoy a book, I feel the need to share this with like-minded friends. Sometimes there are some interesting details and anecdotes that absolutely fascinate me- and I feel that I could never totally reveal these in one book review alone. Sometimes a book needs to be explored even further. Sometimes issues come forth, old ideas are revisited, and sometimes things are so unbelievably strange or funny that they just have to be shared. For every story there’s more than just that story. I’ve already mentioned how I love old books and when I find a really special one, I wish others could read it too. But, the sad part about some of these oldies but goodies is that they’re not always easy to find. So, why not let people in on what I’m reading? Now this brings me (finally…) to what I’m going to do about it. About once a week I’ll highlight some of the things I find interesting in the books I’m reading. It’ll vary from week to week of course because I’ve got this really bad habit of reading quite a few books at a time- so my posts will not necessarily follow a neatly planned order. Right now, besides my Plaidys, Remusat and others, I’m really into my Louis XIV by Vincent Cronin. It was written in the 60’s. For now, let me just say that I can’t put it down. It’s that good. I had the right idea to start this one right after reading Mistress of The Sun…while the King is still fresh on my mind. If you’re interested, I’ll tell you more on Monday. 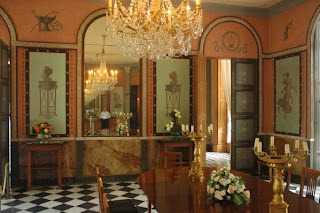 Although Josephine’s love of flowers began when she was but a young girl in Martinique, she really began experimenting and collecting when she purchased the Chateau Malmaison. 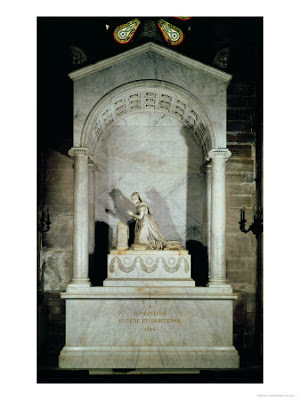 This is where she established her reputation as the greatest contributor to France’s development of the rose. 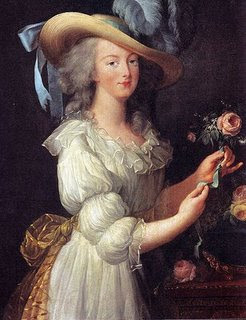 She was a true trend setter followed by wealthy French aficionados who indulged in spreading the love of roses. Josephine wanted to collect every species possible. This was a hefty project in which she also managed to involve Napoleon. In fact, Bonaparte made sure that his army seized any rose seeds or plants wherever they landed or conquered in order to please his Josephine. In addition, serious collecting was insured to the point of having passports issued to gardeners, as well as allowing safe passage through check points or blockades. All this to make sure that the Empress safely received any foreign purchase. 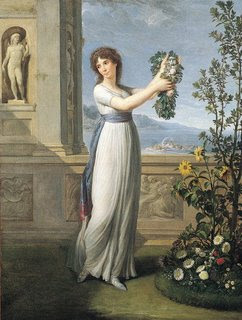 Josephine changed the traditional perception that roses be used solely for medicinal and aromatic purposes. The rose could now be enjoyed for its awesome beauty. To further the pure enjoyment of this precious flower, the Empress also changed the look of the traditional garden from ‘mixed flowers’ to sections dedicated to arrangements of this one special flower solely. This simple, yet grand-looking arrangement set the rose garden in a class of its own- rendering this flower even more majestic and rare in its beauty. The gardens of Malmaison were spectacular with roses of all species being bred and developed for all to admire. The Empress commissioned the botanical artist Pierre Joseph Redoute, who had also been employed by the Court of Marie Antoinette, to paint each and every specimen collected and grown at Malmaison. She also asked that a brief text accompany every illustration. Redoute’s paintings were remarkably accurate- depicting the true beauty of every single rose. From Josephine’s garden, he got most of the material needed to publish 3 volumes of the most important work on roses. 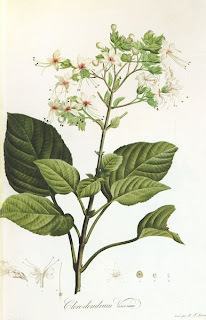 Sadly, Josephine passed away a few years before Redoute published his books, so she never got to see the completed artwork. What happened to the lovely gardens after Josephine’s death? Well, unfortunately (to say the least), the gardens were left to decline. When Malmaison was sold most of the roses were dug out- if you could believe, and probably without permission (who would knowingly allow such a travesty!) Today, there isn’t much left of the once beautifully cared-for gardens of Malmaison. Thank goodness for documented history where Josephine’s contribution is well accredited to. Here is the painting of a rose by redoute that was dedicated to Empress Josephine. It was developed specifically for her by her much trusted botanist, Dupont, who named it Rosa Gallica; The French Rose. What is your favorite rose color? A few days ago an article appeared in the Globe And Mail and was pointed out to me by Ingrid of Fashion is My Muse. Apparently Bonaparte had started writing a novella while he was still a young soldier (before Josephine). An ‘unfinished tale of a brilliant young soldier who loves tumultuously, loses, and dies in battle “pierced by a thousand blows”’. When Napoleon was in exile, the pages of this manuscript were dispersed as souvenirs and are now part of private and public collections around the world. Fragments of this lost story have been recollected- about 40 pages- and pieced together. The novella will be out this autumn in the UK. It's entitled: Clisson and Eugenie. Congrats Christine from Scully Love Promo Reviews! I’ve posted this rather odd-looking palace particularly for its charm. 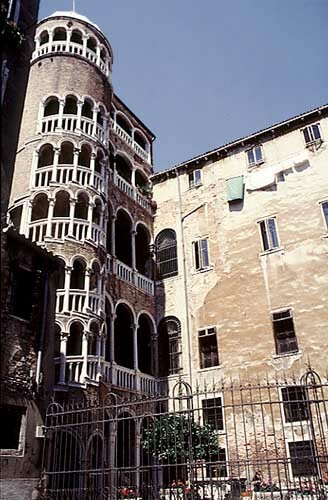 The 15th century Palazzo Contarini del Bovolo is well known for its spiral staircase ‘Scala Contarini del Bovolo' (Staircase of the snail; because of its shape). The staircase is actually in the courtyard. 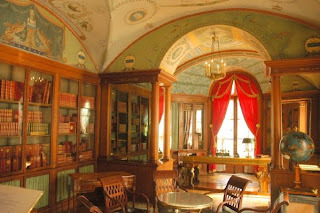 For centuries this palace was the home of the powerful Contarini family. 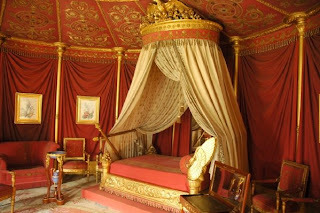 The palace is located in a rather secluded part of Venice..less traveled, if you wish. I’ve heard that staying here is like reliving history. And because it’s in an older section of Venice (Castello) it still holds its fascinating feel. From the top of the staircase you can enjoy a panoramic view of Venice and its historical homes. It was actually Napoleon Bonaparte that instated 'La fête des Mères' in France, in 1806. The holiday was to be celebrated yearly, in spring. 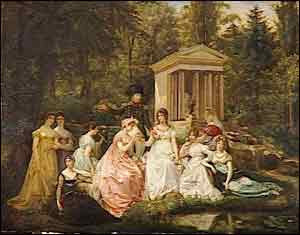 Napoleon had great reverence for mothers. He believed they were at the core of the family unit; absolutely necessary in raising the citizens of the future. I suppose he also wanted to revere his own mother with this inauguration. Maria Letizia Ramolino, Napoleon’s mother, was a dominant force in his life. Although she was rigorously strict, and a staunch disciplinarian, in Napoleon’s eyes she was a caring and devoted mother. 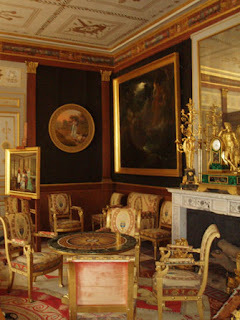 He believed she was the major influence and strength of the Bonaparte family. Le Jeudi de Josephine: Sandra Gulland Guest Post + GIVEAWAY! First: The brilliant author of the Josephine Trilogy and Mistress of The Sun, Sandra Gulland will be hosting le Jeudi de Josephine. I’m honored to have her guest post on my blog! 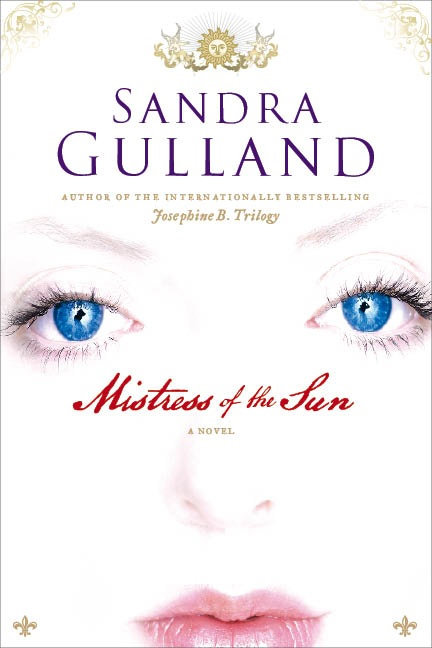 Second: Mistress of the Sun Giveaway! Please leave a comment AND your email address to let me know that you want to be entered in the draw. I've written four novels, but in my mind, there are only two: Josephine's . . . and Petite's. 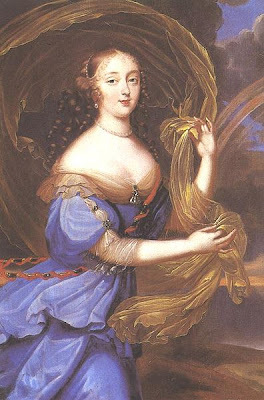 (For those who don't know, Petite is Louise de la Vallière, heroine of Mistress of the Sun.) It's like having two children, two loves, two passions. People ask: Which one do you love the most? Who would you rather be? These are such hard questions to answer! Josephine was a part of my life for decades, and I still feel her presence: caring, steady, wise. Petite is more of a beloved, demanding, passionate angel — a wild, innocent, impulsive child. And my next character? I'm thinking her through right now. She's the daughter of a theatrical star, confidential maid to an aristocrat (Athénaïs de Montespan), and a "fill-in" mistress to the Sun King. There's very little known about her personally; I have only scraps to go on. She is tall, I know, bold, and not that pretty — at least not in a conventional sense. She is practical; she looks after others. She is always the back-stage hand, the assistant — always in the shadows, second-best. I am watching people, collecting attributes. I begin with her eyes . . . . Right from the beginning, I immediately felt tenderness for the six-year old Petite; this child whose heart and mind races as quickly as the stallions she already knows how to tame and ride. Her passion for horses leads her to push the ways of the dark side in order to tame her ‘beloved’ and wild, white stallion –Diablo. She truly believes this pact with the devil is what brings forth the inevitable course of her life. Then, during a disastrous rain storm, fate brings them together once more. From that fleeting moment of tenderness, follows a strong resistance. Due to her virtuous morals, unwavering faith, regard and respect for the Queen, Petite renounces every attempt to succumb to the King. Alas, they are young, filled with passion and an irresistible longing to be together. Couple this with their common love of horses, hunting and riding, as well as, great friendship and interest in eachother- there is no escaping this powerful force… Petite surrenders. They are meant to live this love. However, loving Louis and loving the King are two different things. Can Petite accept one without the other? The ways of Royalty are not all that glitters. There is much pain and sorrow. Can their love endure in a world filled with lies, deception, betrayals, masks and sorcery? Petite is deeply in love and totally devoted to Louis; yet extremely committed to her faith. A pure soul at heart, Petite constantly struggles to fight the evil battle. In this beautiful historical novel, author Sandra Gulland, captures the true feeling of the times, whether it’s in the fine points pertaining to the history, or the minute details of every day life at court for both royals and those who dared live alongside. History buffs will be amazed by the amount of interesting historical information that keeps you plugged to this book. Birthing and illness remedies and methods, including love potions and magical concoctions believed to soothe (or destroy) both soul and body, are meticulously described. In addition, the dialog is extremely well-suited and completely realistic. For me, it’s of particular importance for a novel to be written using the language feel and best possible form reflective of the period. Even the French expressions are intact; mirroring the times perfectly. Gulland succeeds through and through. In addition, character depictions are solid and skillfully developed to bring out the needed emotions in order to completely detest or adore the targeted figure. I was also surprised by the chameleon effect of certain characters, bringing about a whole different element and aspect to the story; particularly where Athénaïs is involved, for example. The concept of living a life through intricacies, complications and deceptions of sorts helps depict the deterioration of spirit, youth, beauty, and life in the Court of Louis XIV. Inevitably, people resort to various methods to control the invariables by means that are contrary to the teachings of the Church at the time. Holding on to Louis proves to be an even greater challenge than taming her beloved Diablo. Will Petite need to make a different pact? She alone must decide her fate. The story unravels magnificently. I was enraptured from beginning to end. Splendid! 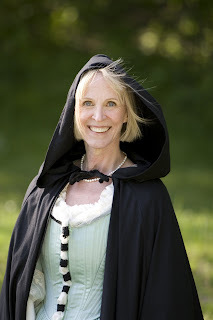 NOTE: Tomorrow Sandra Gulland will be hosting at Enchanted by Josephine! 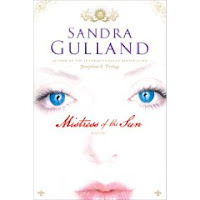 I will also be giving away one copy of Mistress of the Sun. Please drop by and visit! This gorgeous, gentle and super affectionate fluff –ball is my dog, Lola. 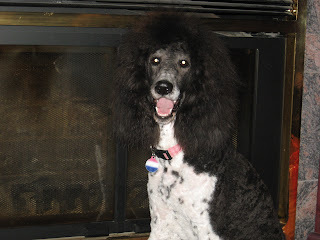 She’s what you call a Parti-colored Standard Poodle. She’s a beauty and a rarity. I wanted to post about her because just recently she’s become a Mommy! Awhile back we became the proud foster parents of this beautiful breeding dog. 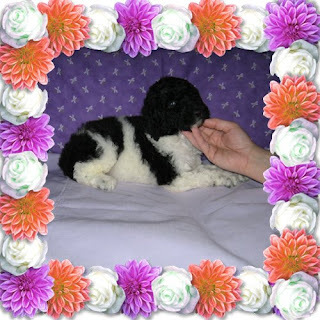 We were selected by this excellent breeder: Lou Lou Poodle, situated here in Quebec. 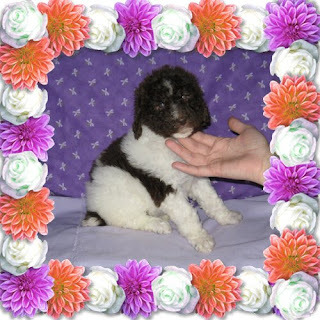 What makes this breeder exceptional is the care she gives to her animals. 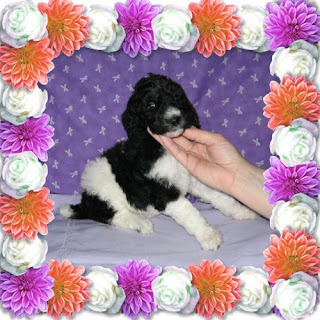 She is the only breeder for Parti-colored Poodles here in Quebec, and she also has a fostering program. The way it works is that rather than keeping all of her breeding dogs in cages with no quality of life- this breeder, Lucy (yes, that’s her name too:) occasionally seeks out potential families that can give these dogs a real family life. 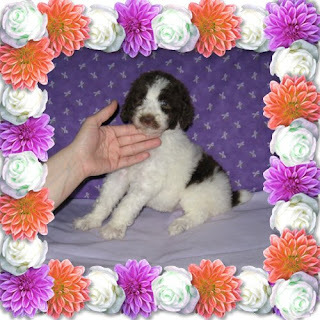 The notion is that a happy and well kept dog that is used to being around children and is frequently walked and has ample room for romping and playing, will in turn be a well-socialized and wonderful dog. Consequently, this should also set the stage for producing well-adjusted pups. So, when I showed interest in this program, Lola, then a 9-month old pup was matched to our family. 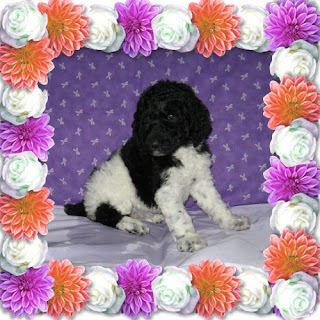 She officially became our dog, with the agreement of having her bred by the breeder when…nature called. 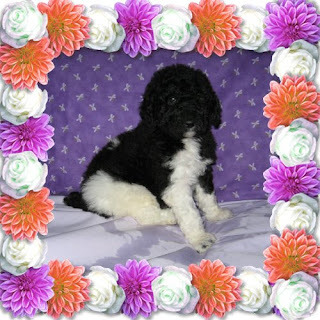 Once Lola turns 4 years-old, the Breeder will have her operated and she will be officially off duty. This is what I call controlled and responsible breeding. So, this March, Lola gave birth to 6 cute pups. She stayed at her ‘godmother’s’ house (the breeder) for what we call her ‘maternity leave’. Her babies are weaned and she’s so glad to be home with us, her family again; where she can now go back to her role of being the cherished ‘baby’ of our household. Take a look at her pups! Lola is one of the ‘princesses’ if you click on the left sidebar. The brilliant, spunky and always full of fun, Amy from the ever-so interesting blog Passages from the Past, has graced me with the Friendly Blogger Award. Thanks Amy! I’ve also received another wonderful award from Yvette Kelly of True Crime Book Reviews: The Lovely Blog Award! Thank you Yvette! Go check these out-you'll love them! Someone just recently told me that I’ve got way too much ‘material’ in my head…I suppose this is why I feel the need to share- and blogging is the one way for me to do so. History, art, reading and writing have always been there for me. I’ve never gone into these as true subjects (in the scholarly sort of way)- maybe it’s because deep down I feel that making it that formal and serious would certainly take away the passion. I much rather live these forms through a hobby; this way I can truly enjoy myself and be as creative as I can. So why do I love blogging? Well, blogging let’s me express myself without boundaries- I can write about anything I truly am passionate about and actually share it with other like-minded souls. Blogging let’s me connect with people who have the same interests. I don’t have to get personal if I don’t want to; the choice is mine. It’s different than something like Facebook, I think. That sort of thing isn’t for me. I’m not one to want people to know every little detail of my life or day (Twitter fits the category as well). No- with blogging I’m the one who decides that which I wish to express and share. I think there’s so much freedom in that.